I’ve read most of Jonathan Kirsch’s] work, beginning with [b:The Harlot by the Side of the Road. In his earlier books, he’s an engaging writer able to winkle out some of the lesser known aspects of commonly accepted ideas and stories in Western history – as in his first book, Harlot, which highlighted “real” and obscure but important stories from the Hebrew and Christian bibles. In recent works, however, I’ve felt that Kirsch has been throwing together poorly integrated essays in response to popular obsessions, and I’ve become less and less eager to read his latest. In A History of the End of the World, it was millennialism; in The Grand Inquisitor, it’s torture. The poverty and haste of his latest effort is evident early and clearly in the writing style, which is tedious and labored. Hardly a page goes by without Kirsch mentioning that the Inquisition has existed for 600 years, wreaking its mischief on anyone who disagrees with the Church. Even as a general primer on the history of religious persecution and the “Inquisition” as an institution of the Roman Church, the book is not very satisfying. The author establishes a strawman in discussing the “apologists” for torture in academia and relying (according to the notes, at any rate) almost entirely on the grand doyen of inquisition studies, Henry Charles Lea, who was writing in the late 19th century. 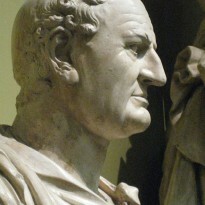 In his zeal to build up the image of the Roman Inquisition as a major arm of the Church, with influence over every aspect of Catholic life, Kirsch ignores the real nuances and differences in how inquisitions manifested themselves across time and space, and in how opposition to papal supremacy expressed itself in the same period. There is a serious question about whether one can write of The Inquisition (except in very specific terms like the Spanish persecutions) or whether one must write of “inquisitions” set up by papal authorities in response to specific situations (like the Templar suppressions). And then there’re the matters of diocesan inquisitions established by local bishops and others mounted by secular leaders. 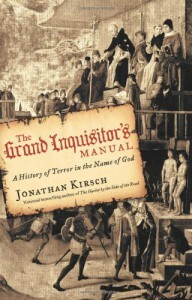 Kirsch also does little to support his claim that there was a vast, west Europeanwide “bureaucracy of inquisition.” True enough, there was an office (and there still is) in the Vatican that monitors how faithful Catholics are to Church dogma, there are any number of instructional manuals penned by inquisitors such as Bernard Gui (better known popularly perhaps as William of Baskerville’s foe in Umberto Eco’s] [b:The Name of the Rose Inquisition and Torture come to mind) and as to the topic of torture and persecution in general there are better works focused on their particular manifestations.